Piping systems are subject to vibration-induced failures. To mitigate this integrity risk, a piping vibration assessment is conducted during the design phase and high-risk locations are tested during the operations phase. This piping vibration analysis (assessment) is based on the Energy Institute (EI) AVIFF Guidelines and other applicable methodologies and makes up an important part of an Asset Integrity Management (AIM) system. The Energy Institute AVIFF Guideline is the recommended approach to identify and resolve piping vibration risks. Wood has extensive expertise in pipe stress analysis, dynamic vibration analysis, transient flow, and other related design studies. Our unique approach is based on decades of actual field experience (troubleshooting) to solve piping vibration problems – a unique advantage in the design industry. 1.1 What is piping vibration? 1.2 Why should I care about piping vibration? 1.3 What piping is most at risk? 1.4 Where does piping vibration come from? 1.5 How can I address piping vibration? Piping vibration problems are a reality at onshore or offshore production facilities, pipeline stations, refineries, and petrochemical plants. Facility owners are extremely sensitive to these integrity risks because of the significant consequences associated with product releases from ruptured piping. Severe safety and environmental consequences of piping fatigue failures. Recent examples in the press highlight situations where piping failures caused explosions, loss of life, environmental damage due to onshore and offshore spills, lawsuits, and facility shutdowns. Vibration can cause reliability problems on equipment, fatigue failure on process piping, and small branch connections including relief lines, instrumentation ports, nozzles, drains, and valves. Vibration on compressor and pump packages is also a reliability issue but is addressed in separate scopes of work. Piping vibration is simply the movement of pipe away from its static, at-rest position. Some vibration can be seen by the naked eye, some vibration can be felt or heard, and some vibration occurs only occasionally under certain operating conditions, and may not be recognized until a piping failure has occurred. 21% of hydrocarbon releases are due to vibration-induced fatigue failures (UK Health & Safety Executive). These releases can have a significant impact on public and employee safety, the environment, production and financial performance. The piping system is by far the leading source of failures in facilities (Marsh & McLennan). This is in part due to the sheer quantity of piping in facilities, but also due to inadequacies in integrity programs to consider vibration and fatigue. The situation is compounded by the fact that commonly used design codes do not consider vibration in detail. Overall, only a small portion of piping is of high risk of failure, but identifying those high-risk locations is the challenge. Piping vibration risks can be identified at any stage of the asset lifecycle, but few companies have a systematic approach to evaluating these risks. 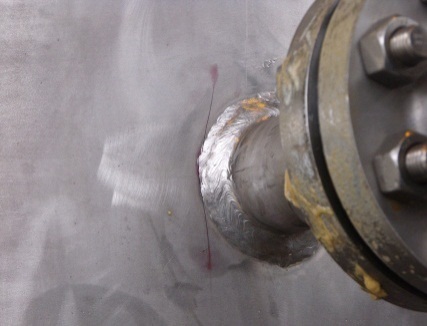 The remaining 20% are generally associated with parent pipe girth weld failure. Two main factors affect vibration: the strength of the excitation and the flexibility of the piping system. Therefore, there are always two methods to solve piping vibration problems: reduce the level of excitation to which the piping system is exposed or support the piping system so that it can withstand the applied dynamic forces. Risk-based assessments are the most cost-effective and reliable method to identify, quantify, inspect, measure and mitigate vibration and fatigue risks. These assessments look at the vibration integrity problems a facility faces, from start-up to shut-down. The risk-based approach allows for a proactive management of vibration, only where there are risks present. Risk-based assessments integrate with and complement conventional integrity management programs that typically focus on corrosion/erosion – saving time and money for operators. Design and in-service inspection standards typically highlight the risk posed by vibration but fail to provide appropriate management strategies, often leaving the identification of vibration issues to operators. The Energy Institute document “Guidelines for the Avoidance of Vibration Induced Fatigue Failure in Process Pipework” is the industry standard for evaluating vibration integrity risks; Wood’s vibration experts were heavily involved in its development and understand its application. Wood conducts risk-based assessments for major operators globally and can help augment your integrity management program to include vibration and start proactively addressing vibration risk. small attachments, typically less than 8 cm (3 inches) in diameter, are the most common cause of integrity problems. Even if the main process piping has acceptable vibration, the vibration can be amplified on SBC causing failures. For large facilities, there can be thousands of SBCs that pose this integrity risk. Process piping vibration can cause excessive vibratory stress on nozzles and tees leading to cracks. Failure of bypass lines, PSV or relief lines. Transient related events such as starting, stopping, emergency shutdown, or closing and opening valves can cause momentum changes in the gas or liquid (fluid hammer), resulting is excessive stress. Fretting and damage to pipe supports. 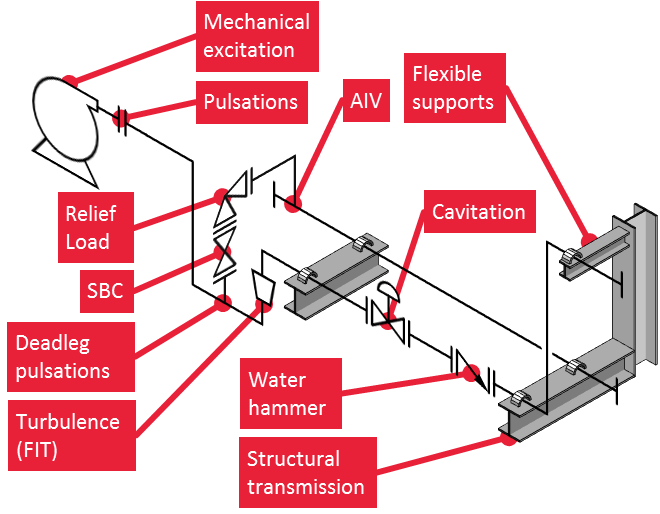 Pipe stress analysis can be in conflict with vibration design requirements. Unless the design resolves the conflict between Mechanical Vibration Design (adding stiffness to control vibration) and the Piping Stress Analysis (increasing flexibility for thermal analysis), there are risks that the piping system will experience stress failures. 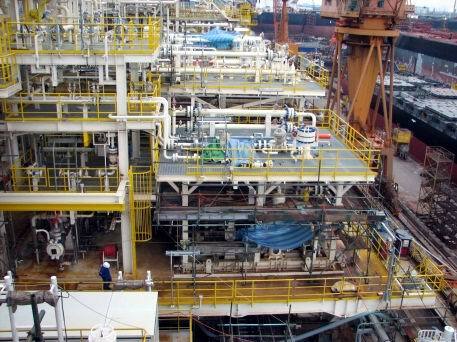 Space on an offshore production facility is limited, and the piping layout is often very compact. As shown in Figure 3, the tight layout creates unique challenges in controlling piping vibration. 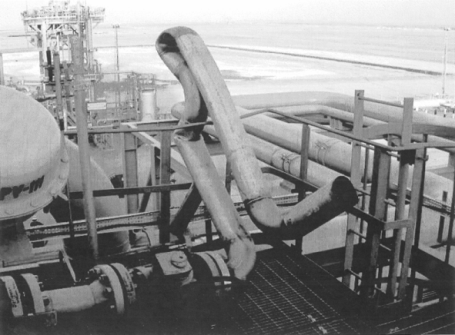 The piping system is often elevated, connecting rotating machinery to overhead coolers, vessels, or headers. 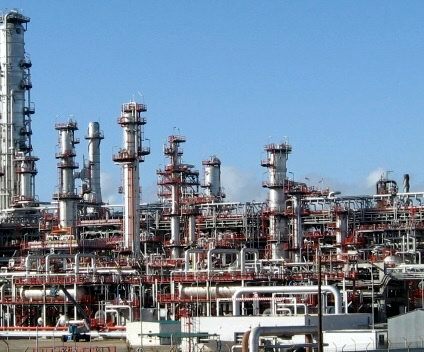 Elevated piping is typically much more flexible than rigidly connected or buried piping because of the difficulties in designing sufficiently stiff piping supports (that prevent vibration). Safety requirements often require “double block and bleed” valves on many small-bore connections. The geometry of these valve configurations and the heavy overhung weight creates much higher chances of excessive stress and failure. Wood recommends following the Energy Institute (EI) AVIFF Guideline as the high-level screening methodology since it has a rigorous and systematic process to address the main vibration risks. 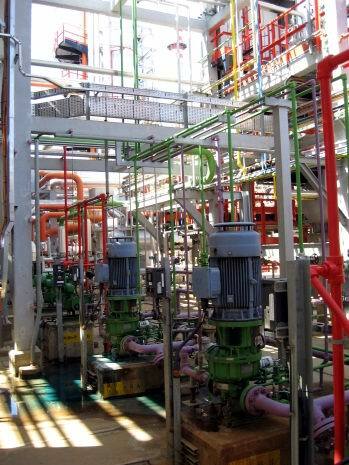 The assessment investigates both the main process piping and SBC. Both transient and steady state conditions should be included in the Piping Vibration and Integrity Assessment. Wood has augmented the EI Guideline to provide superior integrity during the design and field testing phase. These additional features are based on our experience in evaluating piping vibration over the past 45 years. For larger piping systems, the complete Piping Vibration and Integrity Assessment (as outlined below) is recommended. In many applications, a Pipe Stress Analysis is also required and is typically linked to the vibration service. Owners and Engineering Companies (ECs) retain Wood early in the project to conduct this specialized work. Early involvement will save time and money, compared to making minor piping changes late in the design or construction process. Figure 4: Piping Integrity evaluation for refinery (1000+ process lines). Areas of high likelihood of failure were identified, and follow-up recommendations provided to mitigate vibration-induced risks leading to failures. The EI guideline uses a staged approach. A quantitative assessment is then applied to the higher risk areas to determine the likelihood of failure. Specialist activities are involved to address high-risk areas and provide corrective actions. Onsite survey and measurements are required to refine the quantitative assessment for an as-built facility, or after a new facility is completed. The initial focus would be on those systems that are considered to be safety and business critical. Other areas of the plant should be subsequently assessed to ensure all potential issues are identified. Front End Engineering Design (FEED) Stage. 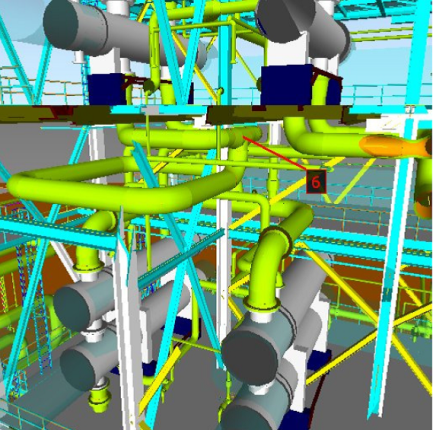 A Vibration Design Review is recommended for the piping design and machinery systems (including proposed skids and foundation plan). This review provides valuable input to the vibration control strategies, required engineering tasks, and input to improve the design process. Deliverables include recommendations for the scope of vibration engineering and dynamics, methodology, guidelines, required scheduling and design considerations. To ensure an integrated vibration design, the scope should include the piping and support systems for reciprocating compressors and pumps, centrifugal compressors and pumps, and the foundation or structural supports. Assess piping system and identify locations with a high a likelihood of failure (LOF) per Energy Institute approach. Evaluate design standards for SBC and piping support assumptions for dynamic loads. Provide recommendations to reduce integrity risks. Implement specialized analysis where required (e.g., FIV, AIV, Pulsation Analysis, transient studies). Calculate allowable vibration limits at high LOF SBCs. Integrate the vibration analysis with other aspects of the project, namely reciprocating equipment, piping systems on centrifugal equipment, and dynamic analysis of foundations and structure where appropriate. 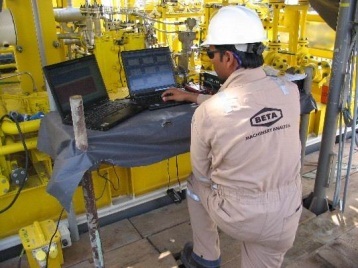 Prepare test plan for field baseline measurements (commissioning and operations phase). Figure 5: Finite element analysis (FEA) used to calculate stress on small-bore piping. Conduct a baseline vibration survey during operation to verify vibration levels. Measure mechanical natural frequencies (MNFs) of small-bore connections, inspect pipe supports for pipe strain and alignment and conduct transient vibration testing where required. Remedy remaining issues with recommendations and further troubleshooting, if required. Conducting this work requires specialists who are experts in dynamics, and have the necessary experience, software tools, and field capabilities. ​Wood has unique experience and skills in piping vibration, including the assessment of large-scale piping projects. Wood has the necessary qualifications to meet the above technical qualifications. For nearly 50 years, the company has pioneered vibration analysis on machines and piping systems and is recognized as a global leader in this field. Experience on a wide range of piping systems, including refineries, petrochemical plants, pipeline stations, water injection units, and offshore platforms and FPSOs. 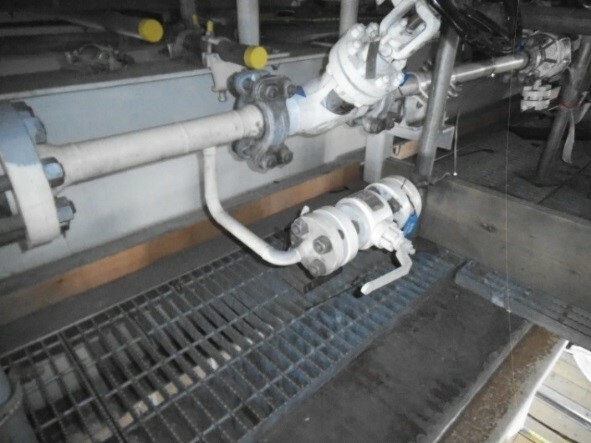 Screening evaluation techniques to assess process piping and attached small-bore piping connections including cost-effective methods to determine if vibration-induced failure will occur. Implementation of major projects involving the Energy Institute Guideline and other applicable approaches and guidelines. Proprietary and field verified software tools to accurately model piping systems, assess vibration and stress, and evaluate the effectiveness of proposed modifications. Field proven tools and techniques are key success factors. 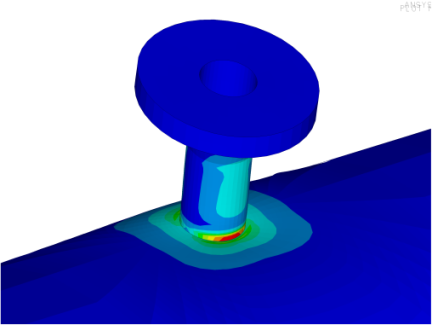 Many examples exist where inexperience and standard FEA software do not produce accurate results. Involvement in three different large-scale projects with international research organizations, such as the Gas Machinery Research Council, aimed at finding solutions to piping and machine vibration. Development of custom designed products to address high-risk vibration areas. Consulting expertise in piping design, small-bore piping evaluation, root cause analysis, troubleshooting, and the specialized analysis needed to tackle high-risk problems. Learn how to better manage piping vibration fatigue threats in your projects and facilities. Why Include Vibration Integrity in Your Integrity Management Program?